My friends and I were quoted in an article that ran on the front page of our local paper on Sunday. I had a heck of a time trying to get it into a format that you could read, so please enjoy! 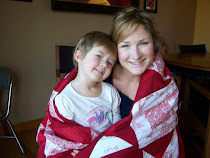 If you enjoyed this article, please email Marcia Moore and thank her for her work. 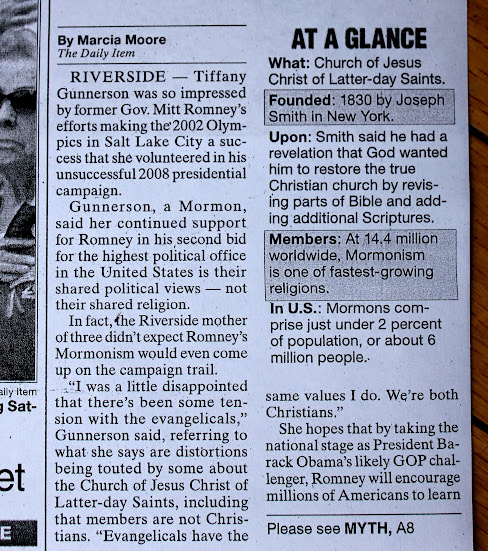 Perhaps they'll do more positive pieces about Latter-day Saints if she hears from people like you! "Race, religion collide in campaign." 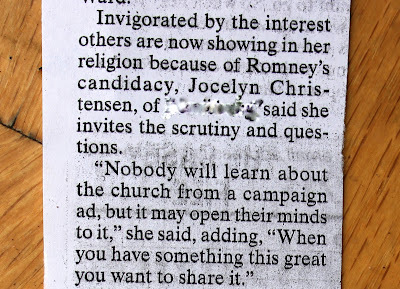 I hope you're right, Jocelyn, and that religious bigotry won't affect this election. It wouldn't take many votes lost to turn the tide one way or the other. This is going to be a close one! I don't think it's realistic to say that his religion won't be an issue. Look how many myths have been out there stating that Obama is a Muslim and using that as a negative thing about him. He is not Muslim but it shouldn't matter anyway. 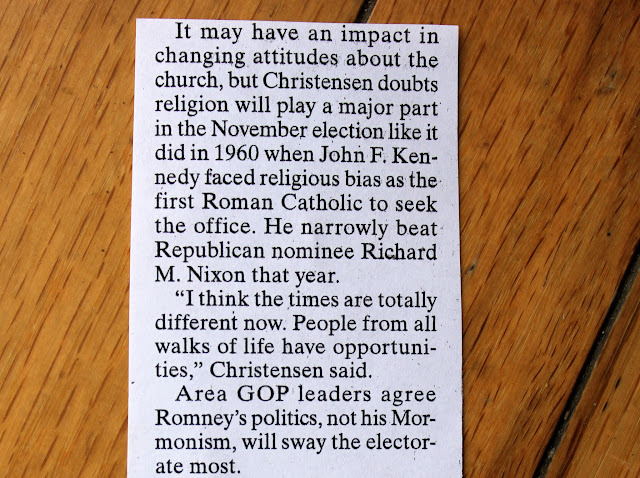 Oh and just to clarify...I am happy about the exposure that Mitt's running will open up for the church and more focused on that than whether he wins or loses. That is not really my concern at all...sharing my faith and giving others the opportunity to find out what we are about for themselves is my interest...not so much the political side. this election year is going to be interesting and an opportunity! As a country, we Canadians watch what is happening with interest. Not so much the religious views but the economic and political heaving that is happening. I am glad about the exposure to the church (both the postitive and negative) and love the opportunities it brings though. I look forward to seeing what your election brings. "If you have something great to share, you sant to share it." Amen! Tiffany is my sis-in-law! That's too funny! Great article!